We passed by this Taiwanese stall a few times and decided to give a try. 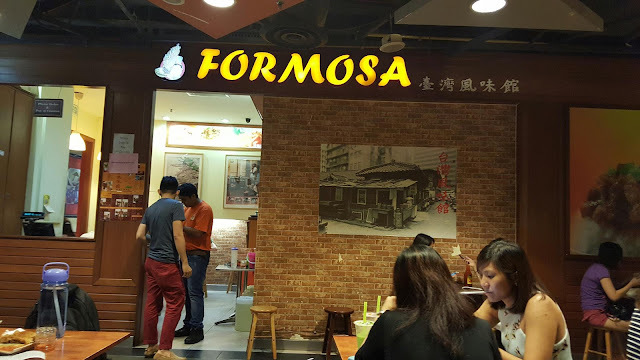 It's located just beside Pommes Frites Bistro. 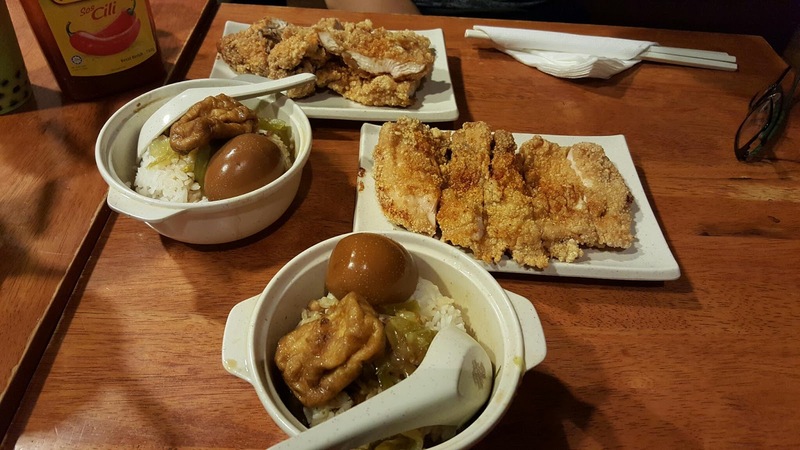 It serves variety of Taiwanese main dishes in sets and ala carte, snacks and drinks. Set A to Set D are RICE set. Set E to Set G are NOODLES set. Set H is Special Set which is SNACKS. Set I is Economic Set ( Braised Sauce Rice, Braised Egg & Tofu, Choice of Drink). In every Main Sets, there are different type of small sets in side to suit everyone appetite. 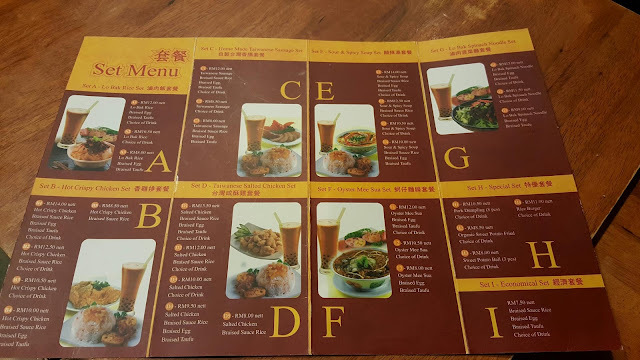 Both of us choose Set B which is Hot Crispy Chicken Set, we ordered full set ( Hot Crispy Chicken, Braised sauce rice, Braised Egg & Tofu, Choice of Drink). We ordered our food and pay at the cashier and the staffs served our food and drinks within 10mins. 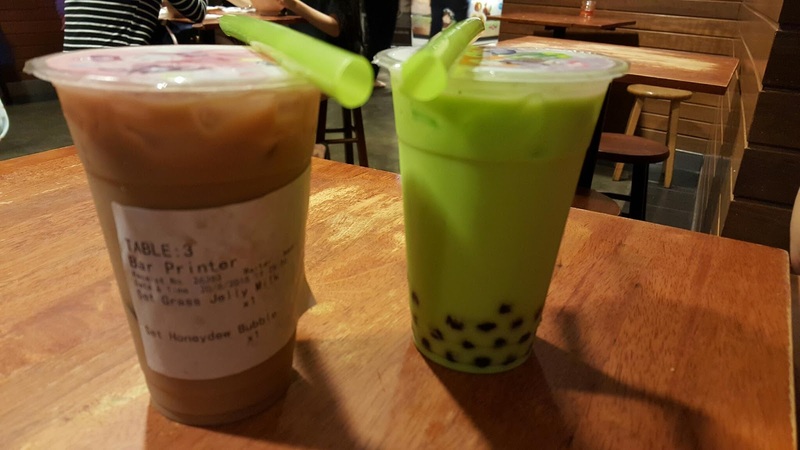 Our Choice of Drink - Grass Jelly Milk Tea & Honeydew Bubble Tea. 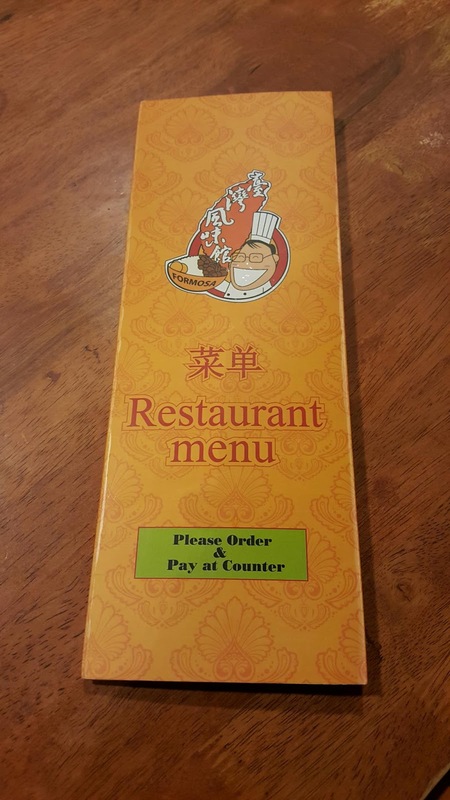 Taste okay. 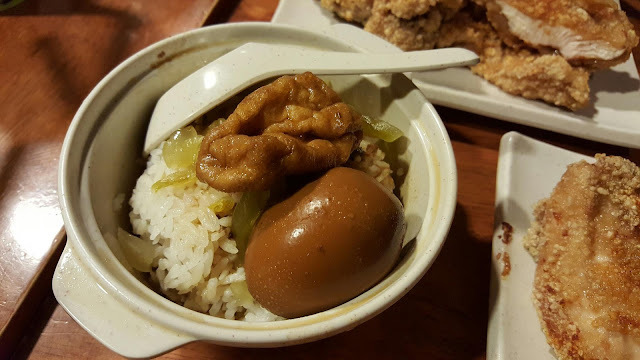 Rice with braised sauce, braised egg and tofu. The rice mixed with the slightly sweet braised sauce was awesome. Braised tofu and egg were okay, taste slightly sweet instead of salty. Not bad. This pipping hot Crispy Fried Chicken was alike SHILIN Fried Chicken, but this is bigger and thicker meat. 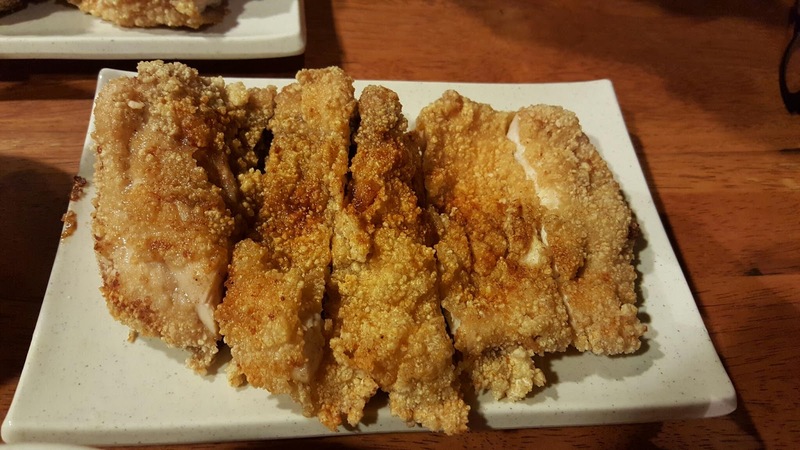 It's juicy, crispy but lack of enough flavour, perhaps because of the marination process/spices. Overall, it taste okay. Customers are non stop queueing at the counter, so normally here will be crowded during lunch and dinner time. The set was really worth the money we paid. Gonna try their other sets on my next visit to Sunway Pyramid!